You’ve made it this far, now it’s time to FLOAT! 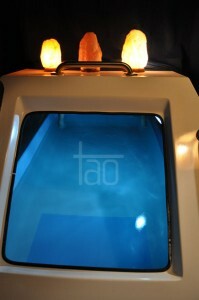 TAO floats are FULL SERVICE; all amenities are provided. Here is our video about floating at Tao. Here is a great article written about FLOATING AT TAO. Keep in mind each experience is uniquely different every time! Reduce sensory input and just float away into deep relaxation semi submerged in warm super saturated salt water embraced by the floatation tank. After about 30-40 minutes is when the body & brain connection magic starts to happen; your brain starts to create Theta brain waves, a frequency which allows you to enter your most creativity state, free of stress and anxiety. The last 20minutes of your float will be just bliss! A 90min float is IDEAL. However “doing nothing” is surprisingly harder than it sounds. Enjoying the full benefits of floating can take some practice. Most people take 20-30 minutes to get to a place where they can calm their thoughts and mind and just get settled and accustomed to the new environment of the tank. However after 20-30mins your thoughts of what you are having for dinner, deadlines on projects or assignments, relationship problems, your own ego will start to fade so you can begin to fully relax. 90mins is like our natural sleep cycle, so once you become experienced at floating you can get in and fully rest. Coming out of the pod you will feel as refreshed as after a full night’s sleep. SERIES of FLOATS available at a $22 savings per float! One hour of flotation therapy is as beneficial as four hours of restful sleep. Floating or R.E.S.T: Restricted Environmental Stimulation Therapy (REST) is relaxing in a pool of super bouyant salt water that allows you to just float effortlessly while you receive the benefits of a “zero gravity” weightlessness experience. Research has found that profound deep relaxation and improved thinking are achieved while floating as outside stimuli are reduced. Floating in the float tank allows for reduced sensory input to the central nervous system. Floating enables you to quickly enter the “rest & digest” parasympathic nervous system versus our “daily grind” of the “fight or flight” response. Dr. John C. Lilly, a neuroscientist, and pioneer in brain and behavioral research studies found that gravitational force on the body coupled with noise, light, and temperature variance, etc., utilized approximately 90% of the neural activity in the brain. Removal of the gravitational force and the five senses while floating will “free up” space and decrease the constant continual brain processes. Kinda like “fasting” for your central nervous system. While in the floatation tank, short-term sensory reduction can result in incredibly profound states of relaxation, expanded healing, creativity enhancement, problem solving, meditation, accelerated learning, sports performance conditioning, and self awareness. Completely suspended, similar to zero gravity, floating in serene warm salt waters, total muscle relaxation is achievable. This promotes a sense of health and well-being that can remain for several days, at a minimum, and certainly long beyond. Altered States is commonly mentioned when we start talking about floating…difference is you are only semi-submerged in water and a slim to no chance turning into proto-human monkeys. Just bring yourself. We do recommend ear plugs for increased sound buffering as well as to keep salt out of your ears. You receive one complimentary pair of ear plugs designed to block out sound and water, you can bring your own or buy additional pairs from us. Our float experience is full service; we provide towels and toiletries for bathing before and after floating. Certainly feel free to bring your personal amenities for your comfort. How is the tank kept clean? The salt solution you are floating in is a naturally highly sterile environment; however all the water is triple filtered and sanitized with UV light with the addition of hydrogen peroxide between each float. Yes, your whole body will be wet. You are required to shower just before and after your float. Showering helps to keep our tank clean by removal of all hair products and body oils/products. Once in the float tank you lay down and your body floats like a cork on water, just semi-submerged. If you prefer to not get your hair wet you may bring and wear a bathing cap. Floating is not recommended within 48hours of any scalp or hair treatment; hair dye, straightening, etc. What if I’m claustrophobic? Do I have to close the door? Can I open the door? People with claustrophobia consistently report no problems with floating. You’re always in control of your environment, the tank is 8 feet long and approx 5 feet wide and once you close the door it is so dark inside you won’t even know there is a top over you. Feel free to float with the door open, semi propped open or closed. You can choose to have a floatation therapy experience or more of a sensory deprivation experience. You’ll know what is best for you and when you are ready to move from one to the other. There is not right or wrong way to float. What about floating while menstruating? Floating is a personal experience and the tank fits one person at a time. elevate your mood; floating naturally increases your dopamine and endorphin levels, boosting your mood and leaving you with a pleasant afterglow that lasts for days afterwards. With external stimuli removed or reduced what we experience in the tank comes from within. You may experience answers to questions coming more quickly and ideas and personal insights abound. This deep solitude is also thought of as training wheels for MEDITATION. It has been reported that people have cut strokes off their golf game, developed complex scientific theories, and drafted whole portions of books while floating. Similar to “WHY FLOAT” athletes gain physical and mental benefits from floating. Examining physical issues: Pain and swelling are common among all athletes who train vigorously on a daily basis. Floating will help reduce swelling in joints and ligaments (knees, ankles, hips, back, shoulders) by removing any, and all, pressures from this portion of one’s body. When you float your body is essentially weightless inside, thanks to the thousands of pounds of Epson Salts that are dissolved in the water. This removes any pressures and weight that you would normally feel while resting on the couch or napping in a bed. Your body will float atop the water like cork on water. Metal awareness issues. In the 24 hours leading up to a competitive events and athletes may experience stress, anxiety, exhaustion and jet lag. the inability to properly focus or get a good night’s sleep will hinder your performance. A float just 24 hours prior to your event will allow you to take an internal inventory of every element that you need to focus on. Floating allows you to specifically dedicate time to training your mind and consciously dedicating time to rest. Mentally identifying your own areas of weakness is of huge importance in athletic growth. You will become energized, focused & most importantly, pain free. How much better will you perform without mental distractions, or chronic physical ailments? There’s only one way to find out! Be STILL. meditate or deepen meditation – Pratyahara for the large Yoga community in NJ! decrease pregnancy aches and pains and be supported in a womb-like environment, just like the baby! Following medical clearance from your doctor floatation therapy can offer an unmatched level of relaxation and pain relief not found outside of the tank.Floatation Therapy will allow you to experience the relief of the added weight of pregnancy by floating in a weightless environment, aiding in releasing strain off the body and spine. Floating promotes sleep, and an overall sense of well being and helps with the daily aches and pains associated with pregnancy.Increase your level f calm and comfort while the Epsom salt solution works to decease inflammation by absorption of magnesium from the solution in the float tank.Like the baby floating in the womb, the mother floats in the womb of the tank reporting a deeper her connection with her baby. Persons with ADD, ADHD, AUTISM and ASPERGERS may experience a sometimes chaotic environment due to over stimuli of the nervous system. Resting in the float tank allows to soothe and calm the central nervous system and decrease that input allowing for a more calm relaxed individual. 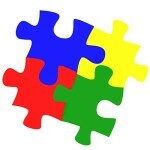 REST as a Treatment for Children with Autism. Clinical and Experimental Restricted Environmental Stimulation: New Developments and Perspectives. by Harrison J. & Barabasz A. (1993). 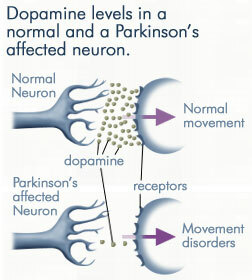 Parkinsons: Floating for Parkinsons is a quick way of attaining a very deep relaxation, and helps to briefly heal the anxieties caused by having a progressive condition. Floating naturally increases dopamine and endorphin levels. Blood pressure and heart rate drop and oxygen intake improves. The therapy also helps to alleviate stress and pain. A TAO wellness assistant will facilitate your float by walking you through what do do and how to prepare for floating and answer all your questions prior to leaving the room so you may get ready for your float comfortably. PRIOR to arrival is is recommended to not shave or wax your body; avoid any other chemical processes to your hair/face/body (hair dye should have been fully washed two times); remove your contacts; eat a small meal 1-1/2 hours prior; don’t drink caffeine before. Once you arrive at check-in we’ll cover the basics and answer your questions. An in-room shower is provided with amenities so you may cleanse the body of oils/moisturizers and conditioner and make-up prior to your float.